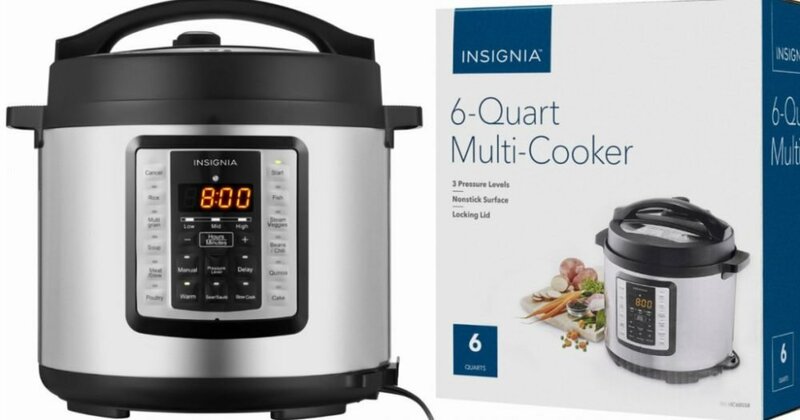 Best Buy is offering these highly rated Insignia Multi Function Pressure Cookers for as low as $39.99 shipped (Reg $99.99). The 6 qt is $39.99 and the 8 qt is on sale for $47.99. No coupon code necessary. You can get these shipped for free, OR you can pick up at a Best Buy near you where possible. Family Friendly Frugality is a participant in the Amazon Services LLC Associates Program, an affiliate advertising program designed to provide a means for website owners to earn advertising fees by advertising and linking to amazon.com, audible.com, and any other website that may be affiliated with Amazon Service LLC Associates Program. As an Amazon Associate [I or we] earn from qualifying purchases.